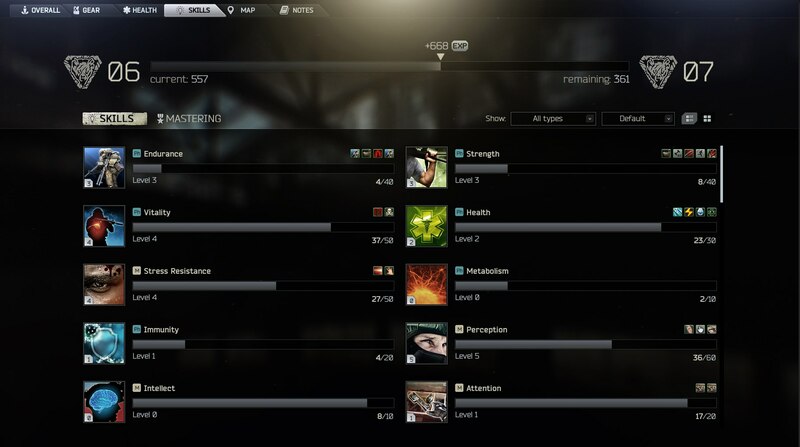 The EFT skill system is a bit different from everything else you have seen so far in the majority of RPG projects, and, moreover, it does not interfere with the core EFT gameplay. As some of you have already noticed from previously published screenshots, each skill icon features a small colored letter - and all of them have their own meaning. The digits at the bottom of skill icon reflect, respectively, skill level and progress.